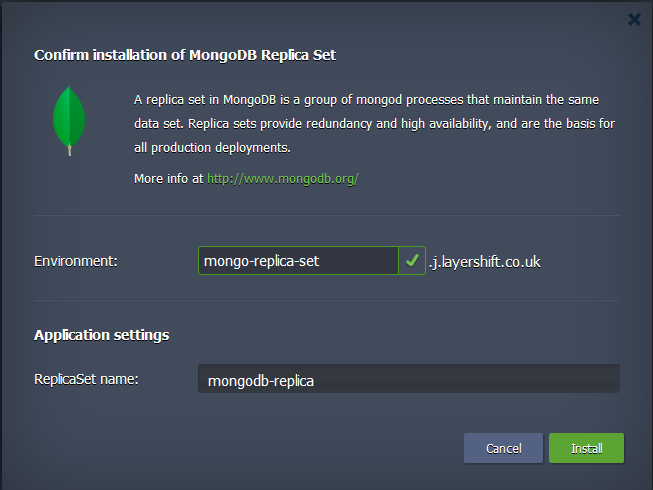 MongoDB supports master-slave replication and a variation on master-slave replication known as replica sets. Replica sets are the recommended replication topology. What is the difference? MongoDB’s replication is “single-master”, meaning only one node can accept write operations at a time. In a replica set, on the other hand, if the current “primary” node fails or becomes inaccessible, the other members can autonomously elect one of the other members of the set to be the new “primary”. The minimum architecture of a replica set has three members. A three member replica set can have either three members that hold data, or two members that hold data and an arbiter. Replica sets provide redundancy and high availability, and are the basis for all production deployments. Replication provides redundancy and increases data availability. With multiple copies of data on different database servers, replication protects a database from the loss of a single server. 1. Log in to your Jelastic dashboard via https://app.j.layershift.co.uk/. 4. Sit back and relax while your MongoDB replica set is being deployed. 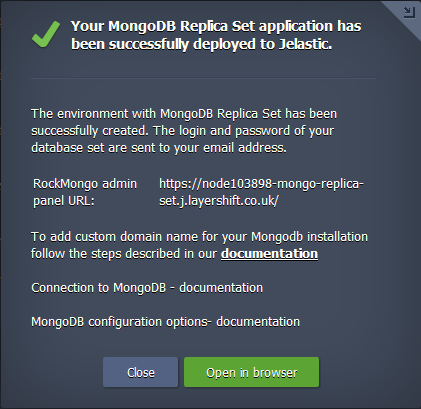 The MongoDB 3 replica set Jelastic Marketplace installation provides a YAML-based configuration file format, that was introduced with MongoDB 2.6. The configuration format differs a little from the MongoDB 2.4 configuration file format, however, we’ve described all the options in the file for you. If you need help with configuration options, please refer to MongoDB official documentation or ask our support team for assistance. 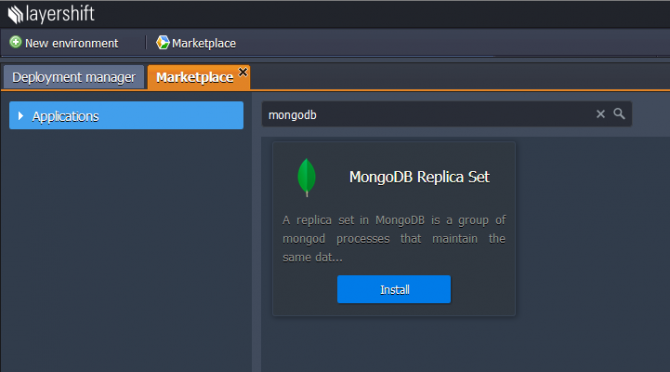 Read more on MongoDB replica set in the official documentation.